Sprivane in game: 2,794 Who? Important notice! 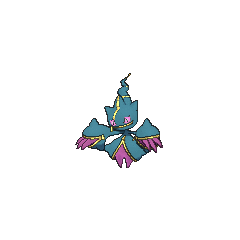 Pokemon Sprivane is a fictional character of humans. 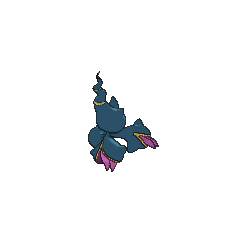 As Mega Banette, this Pokémon gains several additional zippers: one running diagonally across its face, one on each hand and another on its body. The first zipper runs from its left eye to the tip of its central spike. The other three are all unzipped, revealing parts of Mega Banette's purple body. Its three long purple fingers and body revealing two pointed, purple legs are visible. Its zigzagging ribbon becomes somewhat erect, and now has two zipper rings around it and a short zipper on the tip. It gains four further spikes: one on the top and bottom of each hand and one on each hip. However, it loses its brush-like tail. Being driven to life by a powerful grudge, it keeps its life force safely in its body by the means of its zipped up mouth. If unzipped, it would lose its energy. It lays curses on others by using its body as a voodoo doll and sticking pins into itself. 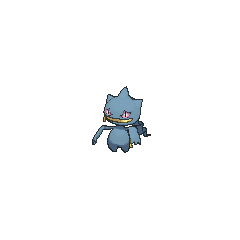 It lives in garbage dumps and dark alleys, where it searches for the person that threw it away before it became a Pokémon. Harley used a Banette against May in the Hoenn Grand Festival in Deceit and Assist. It reappeared in the Mulberry Contest in New Plot, Odd Lot!, and again in the Kanto Grand Festival in May, We Harley Drew'd Ya!. A Banette appeared in PK15. 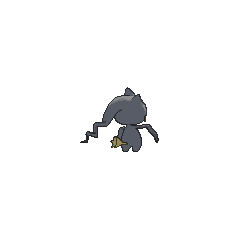 Three Banette appeared in Celebrating the Hero's Comet!. A Trainer's Banette that can Mega Evolve into Mega Banette appeared in Mega Evolution Special IV. 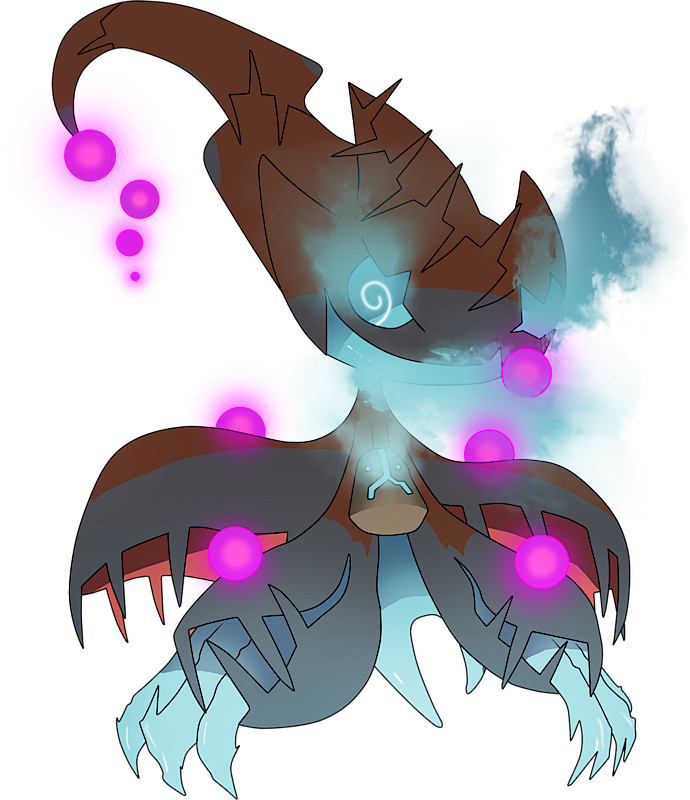 A Banette that can Mega Evolve appeared in Volcanion and the Mechanical Marvel, under the control of Levi and Cherie's Mega Wave. 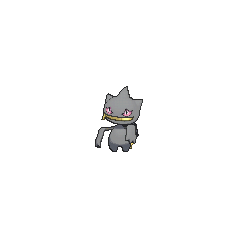 When Meowth was attempting to disguise himself as a Banette in Ghoul Daze!, he was scared off by a real one that was accompanied by a Shuppet and Duskull. A Banette that can Mega Evolve into Mega Banette appeared in Mega Evolution Special I. 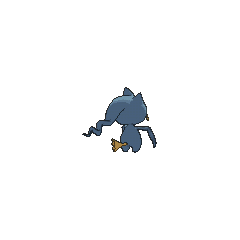 One of Sird's main Pokémon is a Banette, which she used in her battle with Silver to take him into custody on Giovanni's behalf. Against its short fight against the latter's Red Gyarados, it proved to be a force to be reckoned with as it easily overpowered its opponent. Pokémon Mystery Dungeon: Explorers of Sky: In the Special Episode Igglybuff the Prodigy, Banette was a local bully that Wigglytuff, then an Igglybuff, befriended by giving him and his friend Skorupi the Gummis they demanded, and also going with them to explore the Murky Forest. Clears a Pokémon with the same type as Mega Banette (max 10). 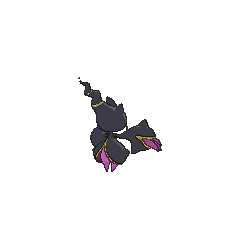 Mega Banette has the highest Attack base stat of all Ghost-type Pokémon. 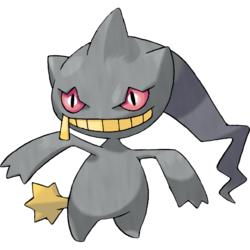 However, with the introduction of Dusknoir in Generation IV and Mega Banette in Generation VI, the similarities between the two evolutionary lines have become less notable, as Dusknoir cannot Mega Evolve and Banette cannot evolve. Its appearance and habit of sticking itself with pins is akin to the popular conception of voodoo dolls. Its Pokédex backstory of an ordinary doll coming to life is similar to the Tsukumogami, while the grudge it holds against its disowner is related to the idea of mottainai.